NYC is piloting curbside collection of compostable material, beginning with 3,200 households in Staten Island, and has now expanded to about 100,000 households across all 5 boroughs. Sign up your building for compost collection! 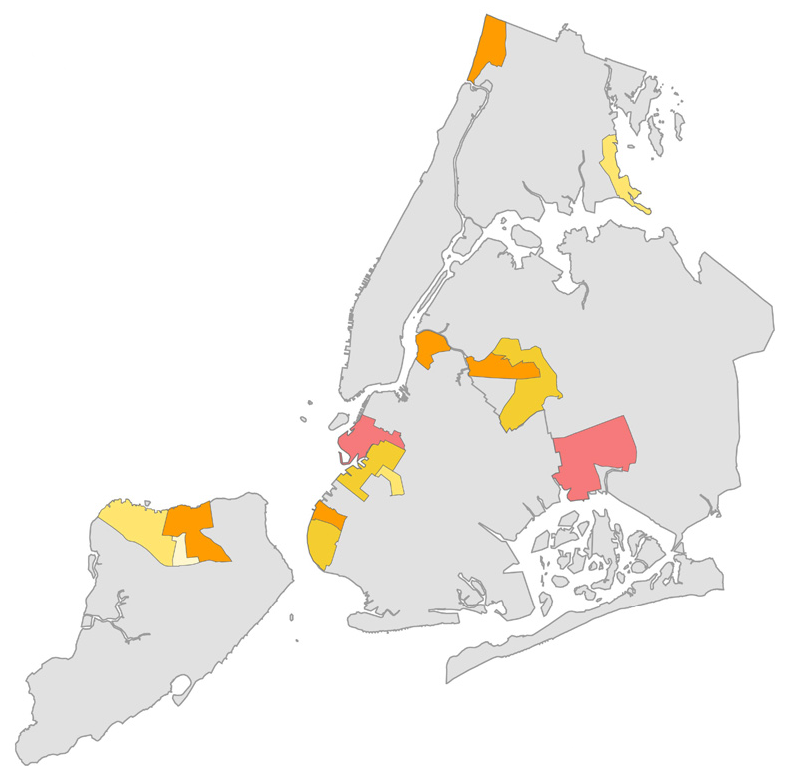 The following map shows the specific pilot zones in each borough. If you think you should be included in the pilot, but have not received a brown bin, call 311. Image Reference: Web Source accessed June 2015. You may live or work in the zone for compost collection by bike from Reclaimed Organics. You can still compost by dropping your food scraps locally. There are a couple local nonprofits and small businesses that can collect your compost, BK Rot (Bushwick), Sure We Can (East Williamsburg), and Vokashi (Brooklyn and Manhattan). If you’re in need of compostable bags, you can find a local retailer near you (including Whole Foods) that supplies them, or order them on Amazon! Look for the “ASTM D6400 specification” when buying compostable bags. Find community events and volunteer opportunities near you!